So, yesterday we discussed how EVERYONE eats breakfast, just at different times and choose different things to consume. 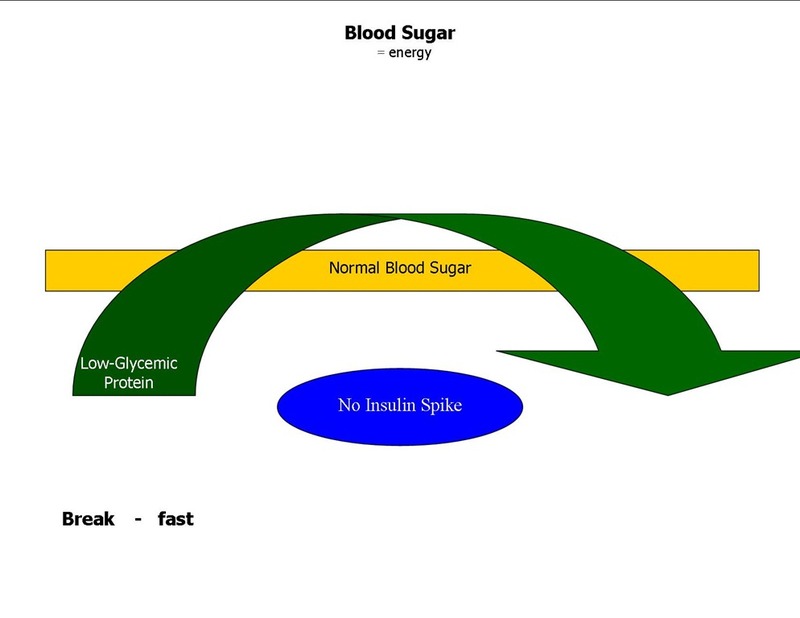 We looked at the spikes in blood sugar when we eat refined carbohydrates for our first meal of the day and then throughout the day. Today, I want to look at the difference in blood sugar levels when you choose to begin your day with a low-glycemic protein. Choosing to begin your day with a low-glycemic protein allows your body to use that protein over a longer period of time, stabilizing blood sugar and eliminating those peaks and valleys that cause the irritability, crankiness, & CRAVINGS! Before you pour yourself a bowl of cereal, stop and think… do I want to crave carbs in 2-3 hours, or do I want to feel satisfied and know I’m not sabotaging my body first thing in the morning. Contact me for more information or additional low-glycemic options. We are what we eat, don’t eat junk. Next Post → Working to change my own stress habits.